Ben graduated from university in 2012 with a degree in Journalism, Film and Media, and has been lucky enough to play poker full time ever since without ever needing to get a ‘real job’. He caught the bug playing in his friend’s garage for small stakes and watching YouTube videos of players tilting. Since then ‘Spraggy’ has gone on to success in the UKIPT Galway Main Event in 2013, where he managed to take sixth place for a cool €30,000. But it’s his achievements and daily interactions with fans on Twitch that continue to excite him about the game. Ben still remembers his first tourney win while streaming: first place in a $7.50 Progressive Knockout. Yet it wasn’t the prize that gave him the most joy, it was the pride in turning a small bankroll into a big one in front of his fans, and he’s been helping them do the same ever since - so it’s no wonder why his online following online continues to grow! 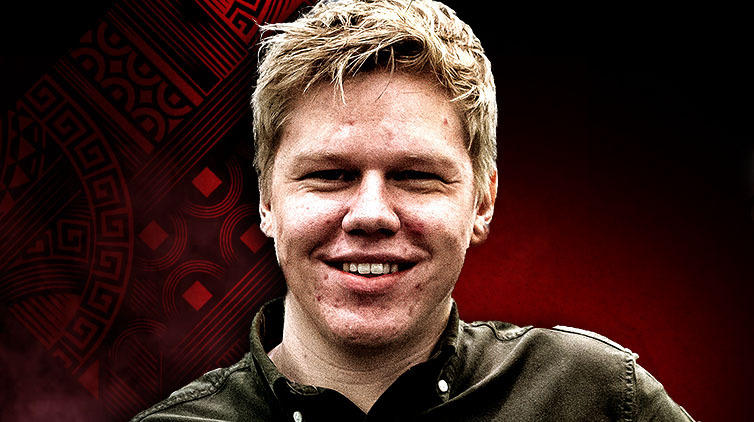 One of the key reasons being a Team PokerStars Online player resonates with him so much is that when he first started playing on PokerStars, he used the search feature to find players who he looked up to and wanted to learn from. Now part of that very same list, he hopes he can help people fall in love with the game the same way he did seven years ago. He enjoys the daily interaction and being able to hang out with great people all day. To overcome the poker grind he loves being able to entertain, share jokes and laughs, and play the game that we all love. Away from poker, he’s a huge soccer fan, and when he’s not playing for his local side, Tetbury Town FC, on the weekends, he’s following his beloved Gloucester City instead. Outside of sports he’s also a keen gamer, citing Counter-Strike: Global Offensive and PlayerUnknown's Battlegrounds as favourites. Ben Spragg is a member of Team PokerStars Online, and you can find him playing under the screen name ‘Spraggy’.